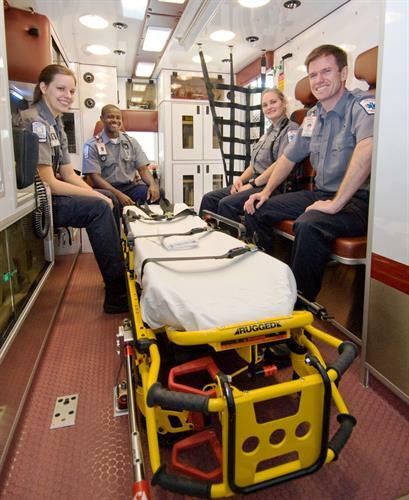 Metro Atlanta Ambulance Service creates innovative solutions for communities and healthcare systems throughout the greater-Atlanta area by providing 9-1-1 emergency ambulance service and delivering logistical coordination and a high quality continuum of care during the transfer of patients throughout local healthcare systems in the greater-Atlanta area. Our goals are to provide responsive medical transportation and high quality patient care while delivering superior clinical outcomes and creating efficiencies that lower the cost for all stakeholders and enhance patient and customer satisfaction. Metro Atlanta Ambulance is a proud partner with HCA-Cartersville Medical Center and the Cartersville-Bartow Chamber of Commerce.